Christ Temple with Elder Thomas Moore officiating. Sarah Lee Joyce, 96, of Williamson, went home to be with the Lord on Jan. 18, 2017, at the Appalachian Regional Hospital in South Williamson, Kentucky. Born July 4, 1920, in Alabama, she was a daughter of the late Wandie Charles Davis and Isabelle Young Davis. In addition to her parents she was preceded in death her husband, Cossie Joyce; sons Arthur, William and Rudolph Joyce; daughters Irene, Rowena and Juanita Joyce; brothers Johnny, Samuel, Arthur, Wandie and Nelse Davis; a daughter-in-law, Sharon Joyce; and several nieces and nephews. Sarah was a longtime member of Christ Temple Church where she was a former president of the Womens Missionary. Over the course of her life she had been involved in various activities and served in numerous capacities at the church; she enjoyed doing all she could in service to the church and her Lord. She was currently the oldest living member of Christ Temple. Sarah deeply loved her Lord. She enjoyed studying the Bible and she was also known as a prayer warrior. 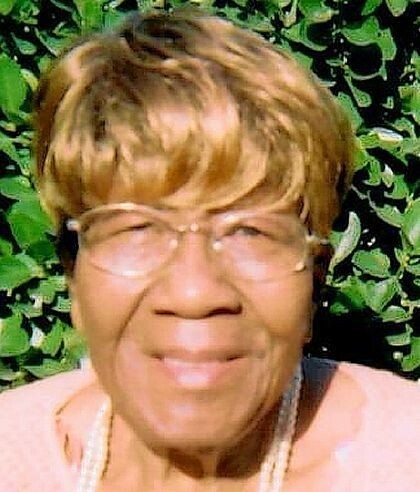 Her home life included gardening and cooking when her health allowed and she enjoyed good Christian music and singing. Sarahs life was long, and abundant in blessing after blessing. She was loved by all who knew her. She will be sorely missed and lovingly remembered always. Sarah is survived by her son, Cossie Joyce of Birmingham, AL; seven grandchildren, Gregory, Ariel, Ivana, Jayna, Michelle, Anthony; and Juan Joyce of Williamson, and with home she made her home; six great-grandchildren; and a host of nieces and nephews. Visitation is from 6p.m. to 8p.m., Friday evening, Jan. 27, 2016, at Christ Temple Church. Funeral services will be conducted at noon, Saturday 28, at the church with Elder Thomas Moore officiating. Interment is in the Mountain View Memory Gardens at Maher, W.Va. Family members and friends will serve as pallbearers and flower bearers. You may express online condolences at www.weavermortuaryinc.com. Weaver Mortuary of West Williamson is serving the Joyce family.